In order to deal Greeks one handed one must simply combine the earlier principles of buckle Greek dealing with the one-handed bottom dealing concepts. 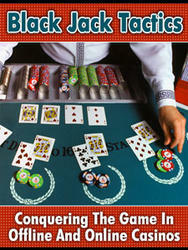 Admittedly, this requires more skill than simply one-handed bottom dealing, but not significantly so. 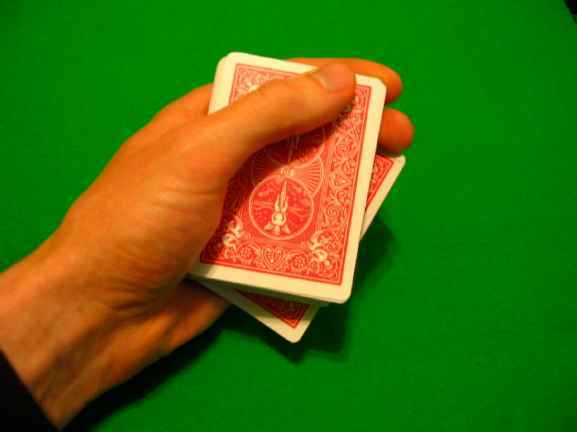 Obviously, (or perhaps not so obviously to some) you begin this deal by buckling the bottom card as per the throw bottom technique, in fact the entire process is the same as the throw bottom technique except for one detail. This detail is found in the earlier discussion on two handed Greek dealing method three and involves using your pinky to push out the card second from bottom in order to provide clean access for the middle finger and ring finger. From here, you simply proceed as with the throw bottom deal using instead the out jogged card, in this case the card second from bottom. Naturally, from this point you continue with the spin action, which I find is slightly easier than performing the same technique with the bottom card. 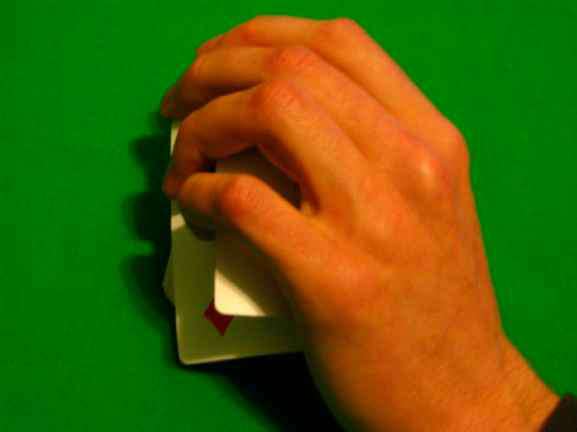 This technique is simply the one-handed stud bottom technique using the method described under throw Greeks to produce the card second from the bottom. I'll let you deduce that one on your own, as this book is already quite lengthy and we have less repetitive material to cover. Again, as I mentioned in the previous section on two handed dealing, the only difference between Greeks and multiple minus bottoms lies in the number of cards you buckle. 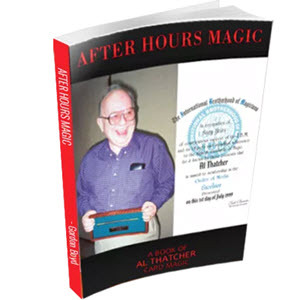 The sleight is another one of those relatively pointless sleights, but some insane individuals (myself included) actually take time to practice them, for what reason I can't say as it doesn't seem entirely reasonable.